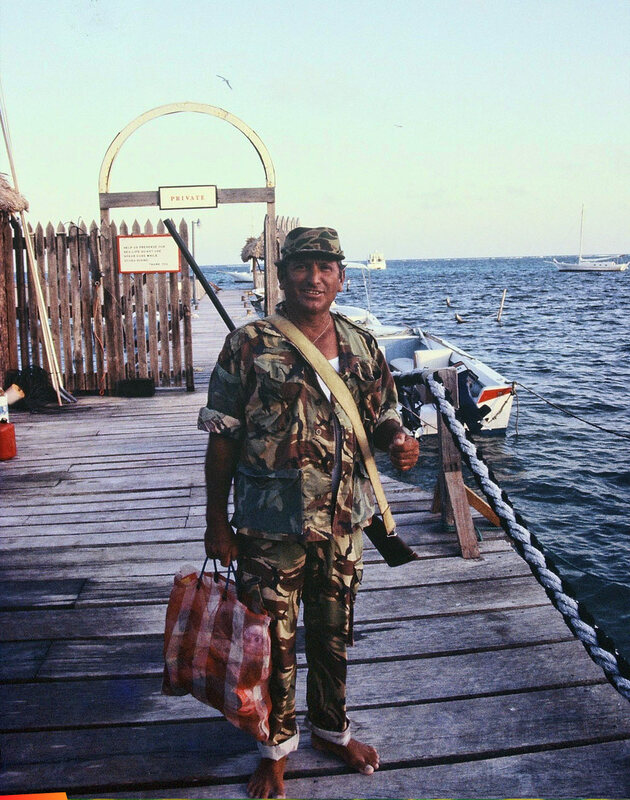 My old friend Gabby Perez on the Holiday Hotels dock in 1988, getting ready to hunting wild pigs up north. We took his boat way up north to Rocky Point and then would head into the bush for hours. I had my jungle boots on, however I still had a rough time keeping up with him in his bare feet for hours. He was as good a hunter as he was a fishermen.